Dave Tippett has a job. He will be the senior advisor for the new team responsible for overseeing the expansion process with other added duties. After being unemployed for almost a year the former head coach of the Arizona Coyotes has been hired by the Tod Leiweke-led group to help get the new NHL Seattle expansion team going. 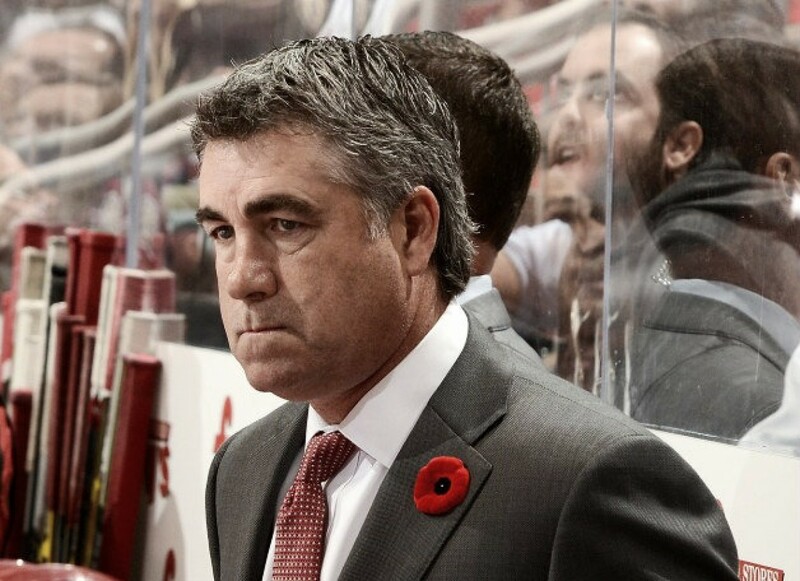 For the much-traveled Dave Tippett, this is yet another challenge to add to his resume. He was the head coach for the Dallas Stars for six years, and then took over the Coyotes' head coaching gig when former-part-owner Wayne Gretzky resigned from his duties behind the bench. He coached the Coyotes for eight seasons and in that very first season of 2009/10, he won the Jack Adams Award as the NHL's best coach. With the team facing bankruptcy and plenty of distractions off the ice, Tippett took the team to three straight playoff berths including winning the Pacific Division title and going to the Western Conference Finals before being eliminated by the rival Los Angeles Kings. In his new role, he will oversee most aspects of the new franchise and even the construction and of a training facility. He'll be pressed with securing an affiliation with an American Hockey League team. He's familiar with all this stuff, and they couldn't have chosen a more talented veteran of the NHL than Tippett. "There are a lot of times where you need somebody with some hockey experience, whether it be infrastructure like the dressing rooms, the training facilities, or putting together the groundwork of what a skeleton hockey staff would look like," Tippett said. Tippett's daughter, Nichole is a University of Washington graduate who currently lives in Bremerton, Washinton. The Tippett's are renting in the nearby Bellevue area while his new job is defined further. During his off-time, he found plenty of time to step back and relax and his wife Wendy noticed how much more relaxed he seemed. He played some golf, visited Hawaii a few times and took time to spend with his family. He may be, but yet while watching the Finals and seeing the electricity in the crowds he still may still have that fire in his belly to be behind the bench. For now, it's irrelevant since the Seattle group has not been awarded a franchise just yet. "We'll see, I'm not ruling it out," Tippett said about coaching again. "It would have to be the right situation. But also, I'm intrigued about getting into another part of the game with this." What are the possibilities for you from here? GM? President of hockey operations? Choosing Dave Tippett for this opportunity shows that the Seattle group did their homework. It also could have been decided that they had better grab Tippett before another rumored expansion city takes him first. Don't forget that Tippett was instrumental in getting the Houston Aeros going in the International Hockey League first as an assistant, then head coach, followed by the GM of a championship team. If/when Houston is awarded a franchise you can be certain that they would be inquiring with Tippett to see if he had interest. He's more than paid his dues and deserves a chance to perhaps mimic the success of the Vegas Golden Knights. If the expansion draft is anything like the one Vegas was gifted, Tippett should have some decent players to compete in the NHL. Welcome back Tipp... you were definitely missed! Do you feel that Dave Tippett was a good choice to assist the new Seattle franchise and advise them? Let us know in the comments section below.